Paper dolls with a twisted sense of humor and a baby on the way. Yes, you read that correctly. 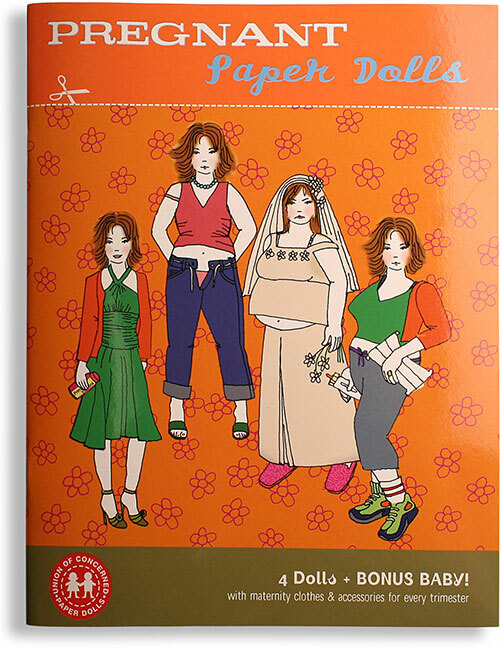 Pregnant Paper Dolls chronicles a woman’s body as she goes…and grows from first trimester to fourth (the one after the baby arrives). With each trimester, the tummy swells and the ankles too. The fashions become tighter, the accessories become larger, and the indigestion becomes insufferable. 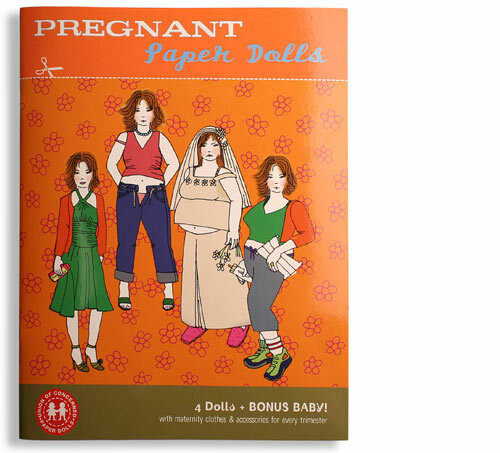 As an added treat, Pregnant Paper Dolls comes with a bonus baby paper doll that’s guaranteed to sleep through the night. This entry was posted in PLAY by adminimagine. Bookmark the permalink.